This ball is ideal for beginner or seasoned bowlers to have in their arsenal! It's recommended for any lane condition and features a Skull with shades on. Had an identical one that weighed 15 pounds that I used for the 10 pin. Had to move to a 12 pound ball because of arthritis and a torn rotator cuff. Found I missed not having my Skull Ball and had to buy another one. Am I able to get the finger holes drilled into this ball? Unfortunately we cannot drill this ball through us. The warehouse that makes this bowling ball does not have a built in proshop to do the drilling so that is why this does not offer drilling and it would have to be drilled locally. 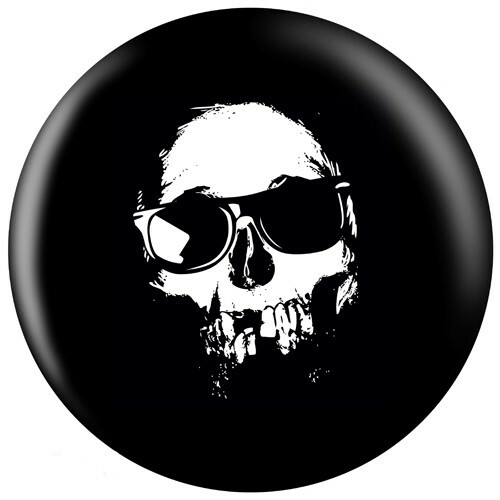 Due to the time it takes to produce the OnTheBallBowling Skull Cool ball it will ship in 1-2 weeks. We cannot ship this ball outside the United States.